Material and Methods: The authors studied 80 patients enrolled in the Multidisciplinary Bariatric Unit of a central hospital in Porto, Portugal. Patients submitted to Roux-en-Y gastric bypass and sleeve procedures were compared. Laboratory parameters were collected from patients' files. 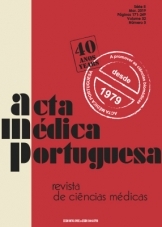 Quality of life and psychological state - depression and anxiety, were evaluated using the Portuguese versions of the Medical Outcomes Study SF-36 and the hospital anxiety and depression scale, respectively, within one to two years of the surgery. Results: A total of 51 patients were operated and completed a quality of life evaluation, while 21 patients were in a pre-operatory group (control). Patients subjected to bariatric surgery had higher scores of SF-36 and lower scores in both hospital anxiety and depression scale (anxiety and depression) subscales (p < 0.001); SF-36 presented a Pearson correlation coefficient of 0,475 (p = 0.004) with hemoglobin A1c. Sleeve had better results in the hospital anxiety and depression scale-depression subscale (p = 0.073). Discussion: In this population, bariatric surgery led to better results, regarding both metabolic and psychological evaluations. 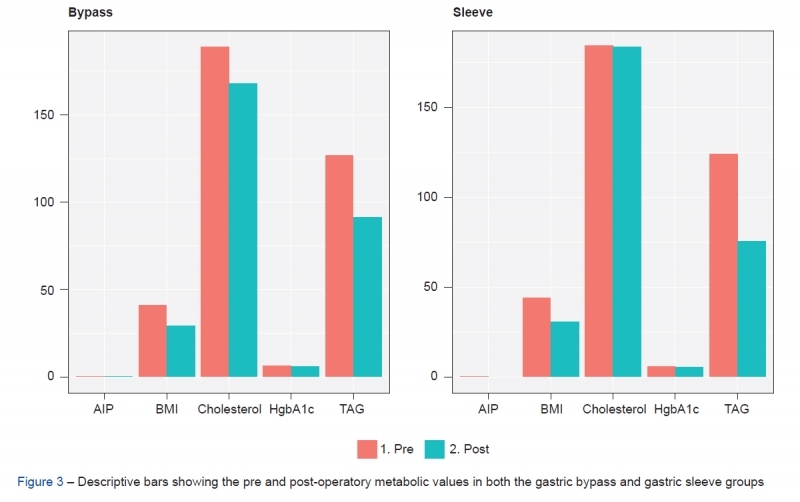 No significant differences were found between gastric bypass and sleeve. However, further analyses must be performed. Conclusion: This study supports the theory that bariatric surgery contributes to the improvement of obese patients' quality of life and psychological state.